Good morning and Happy Leap Day! This week’s notable decision is Young v. United of Omaha Life Insurance Company, a long-term disability case where the court was unimpressed by surveillance capturing the claimant walking her dog, going to doctors’ appointments, and attending church. The court was also skeptical of an independent peer review report that appeared to acquiesce to the insurer’s advocacy of the claimant’s non-disability. This decision is refreshing because in our practice we often see insurance companies using claimants’ ability to attend doctors’ appointments as proof that they can work full time. Such conclusions are the result of absurd leaps in inductive reasoning, and yet some courts will be persuaded by unrevealing surveillance. There were many other notable decisions this past week. Denial of motion for reconsideration under FRCP60(b) affirmed. Lebahn v. Owens, No. 14-3244, __F.3d__, 2016 WL 683828 (10th Cir. Feb. 19, 2016) (Before GORSUCH, MURPHY, and McHUGH, Circuit Judges). 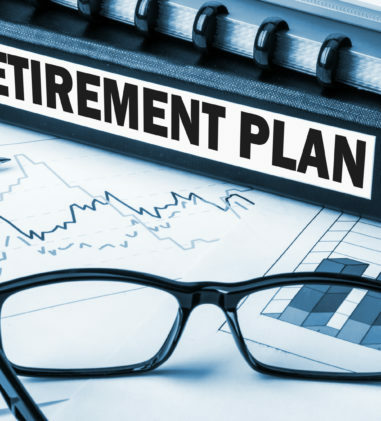 In this case, Plaintiff sued his employee pension plan consultant for negligently misrepresenting the amount of his monthly retirement benefits, causing him to rely on the misrepresentation and retire early. Defendant moved to dismiss the complaint on the basis of ERISA preemption. The district court ruled in Defendant’s favor, finding that but for the Plan, plaintiff would have no claim-making the Plan itself a critical factor in the case. 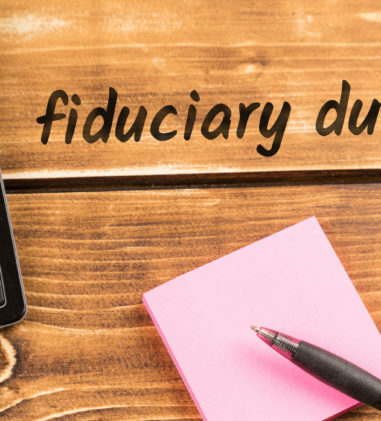 Plaintiff filed a Motion for Reconsideration under FRCP 59(e), arguing for the first time that ERISA preemption does not apply because Defendant is not a fiduciary of the Plan, just a third party consultant. The district court found Plaintiff’s motion untimely, past the 28-day deadline by 3 days, and instead treated it as a motion under Rule 60(b). 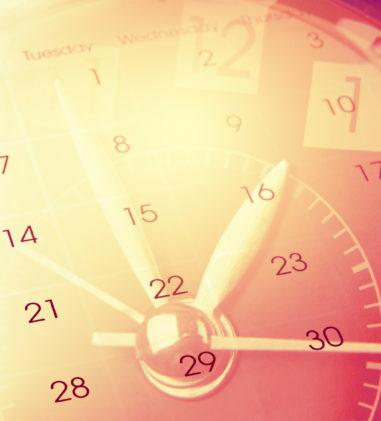 The district court denied the motion because it determined that Plaintiff failed to demonstrate “exceptional circumstances” since his argument was “raised too late,” and a Rule 60(b) motion was not the proper time to raise an argument for the first time. Plaintiff appealed. The Tenth Circuit found that it lacks jurisdiction to consider any challenges to the district court’s order granting Defendant’s motion to dismiss since he did not timely file a notice of appeal. With respect to the court’s review of the Rule 60(b) decision, Plaintiff argued that the court need not give deference to the district court’s decision and may directly consider his mistake-of-law challenge to the district court’s underlying judgment. The court determined that this argument is without merit because appeal from the denial of the motion raises for review only the district court’s order of denial and not the underlying judgment itself. 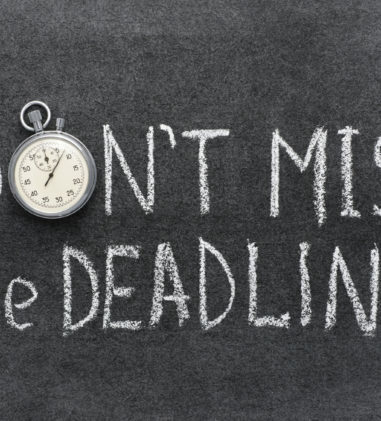 The court ruled that the district court did not abuse its discretion in denying Plaintiff’s Rule 60(b) motion because Plaintiff’s fiduciary claim was not mistakenly “overlooked,” it was not timely raised and was therefore not a proper basis on which to grant Rule 60(b) relief. The Tenth Circuit affirmed the district court. District judge awards less in prejudgment interest than that recommended by magistrate judge to prevailing LTD plaintiff. Doe v. Unum Life Ins. Co. of Am., No. 12 CIV. 9327 (LAK), 2016 WL 749886 (S.D.N.Y. Feb. 23, 2016) (Judge Lewis A. Kaplan). In this matter involving a long-term disability benefits claim, the Magistrate Judge awarded Plaintiff $219,385.34 in attorneys’ fees, $946.12 in costs and $138,803.31 in prejudgment interest for an aggregate award of $359,134.77. Plaintiff filed objections to this award as it relates to the prejudgment interest calculation and the rate awarded for one attorney and paralegals. The Magistrate Judge concluded that prejudgment interest was appropriate and that (a) it should be calculated from a midpoint date in the delinquency period, (b) the delinquency period began on October 24, 2011 and concluded on the date of judgment, October 5, 2015, (c) he would apply the statutory New York State interest rate of 9 percent per annum, and (d) the total interest award therefore should be $138,803.31. Plaintiff contends that while he was entitled to payments in installments commencing on October 24, 2011, the last installment was due 24 months later, such that interest for the period October 24, 2011 through October 25, 2013 may be computed from the midpoint of that period, but that interest from October 25, 2013 thorough October 5, 2015 should be payable on the entire amount that was delinquent by October 25, 2013. The court agreed with Plaintiff that interest should have been computed on the basis of 1,076 days times the appropriate interest rate. But, instead of applying the 9 percent per annum applied by the Magistrate Judge, the court reduced the rate closer to 4 percent since the prime and one year T-bill rates have been under 4 percent and 1 percent, respectively. Accordingly, the court reduced the interest award from $138,803.31 to $92,062.56.3. 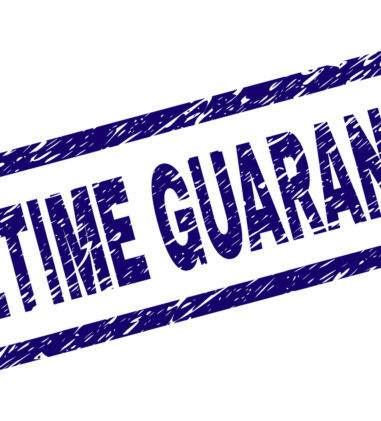 With respect to the applicable hourly rate, the court found that a $600 hourly rate is appropriate for Plaintiff’s attorney, Scott Riemer, and that $355 was reasonable for Plaintiff’s other attorney with five years of ERISA experience. The court granted Plaintiff an aggregate award of $312,394.02. Aetna did not abuse its discretion in denying “any occupation” benefits to former sales compliance consultant; Michigan state law does not void discretionary language. Mendelblatt v. Aetna Life Ins. Co., No. 14-CV-12140, 2016 WL 692526 (E.D. Mich. Feb. 22, 2016) (Judge Gerald E. Rosen). In this dispute involving a denied long-term disability benefit claim under the “any occupation” definition of disability, the court determined that the arbitrary and capricious standard governs its review. The group policy in question here was issued on March 30, 2007, which is before the effective date of Michigan Administrative Code R. 500.2201-2202, and was never revised thereafter in any respect. Mich. Admin. Code R. 500.2202 does not apply to policies that were not amended on or after June 1, 2007. Thus, the court concluded that Mich. Admin. Code R. 500.2202 does not void the discretionary clause in the Auto Club LTD Plan. The court found that Aetna did not abuse its discretion in denying benefits. Here, surveillance and an investigation showed Plaintiff being “active”, including golfing 20 times in 2 months with golf scores ranging from 75 to 88. When this information was presented to Plaintiff’s doctor, he expressed “surprise” to Aetna and stated that he would not be doing any further disability evaluations for Plaintiff. 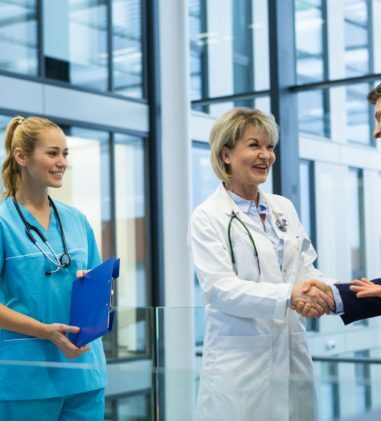 The court found that not all of Plaintiff’s treating physicians supported his total disability, and in any event, Aetna is not required to accord any special deference to treating physicians’ opinions. Further, the court found nothing inherently improper with relying on a file review, even one that disagrees with the conclusions of a treating physician. Although the Auto Club LTD Plan gave the administrator the right to require Plaintiff to undergo a physical examination, it did not mandate that a physical examination be performed. Lastly, the court found that Aetna sufficiently explained why it was not giving Plaintiff’s SSDI award significant weight, including that there are substantial differences between the SSA’s and the Plan’s working definitions of disability. 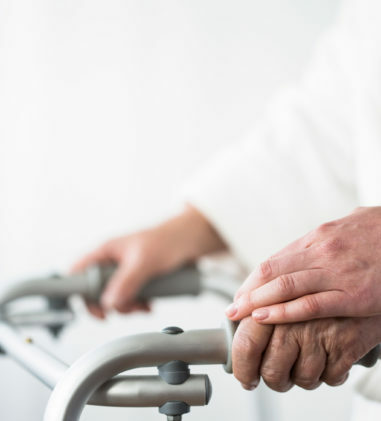 Additionally, the SSA Medical-Vocational Guidelines allow for a presumption of disability based upon a claimant’s age, prior work experience, education, and restriction to sedentary work. The court granted Aetna’s motion for entry of judgment on the administrative record and denied Plaintiff’s motion. Aetna’s short-term disability claim denial is entitled to little deference and it abused its discretion. Mason v. Fed. Express Corp., No. 3:14-CV-0107 JWS, 2016 WL 706163 (D. Alaska Feb. 22, 2016) (Judge John W. Sedwick). The court found that Aetna Life Insurance Company abused its discretion in denying Plaintiff’s claim for short-term disability benefits, where the evidence in the record shows that Plaintiff suffers from a permanent disability resulting from a rare autoimmune disease known as Stiff Person Syndrome (“SPS”). In so doing, the court made a number of findings. First, on the standard of review, the court found that there was evidence of significant conflict of interest and procedural irregularities which entitles Aetna to little difference. Aetna sought “clarification” from one doctor who found Plaintiff disabled and the doctor’s supplemental report was “influenced” by Aetna’s suggestive request for “clarification.” Aetna did not seek the same “clarification” from other peer reviewers who found Plaintiff was not disabled. Procedural irregularities included deficient notices and failing to engage in a good faith exchange of information. Because the standard of review is for abuse of discretion, the court found that a bench trial on the record would be improper so it resolved the parties’ motions under Rule 56. The court determined that FedEx Trade is not a proper party to this action because it does not exercise any control over the plan as an administrator or otherwise; it is just a sponsoring employer. FedEx Trade is also not the Plan administrator for purposes of Plaintiff’s document penalty claim under Section 1132(c). The court concluded that Plaintiff is disabled because he suffers from a combination of painful spasms and the negative side effects from the medication he takes for those spasms. The court granted summary judgment to Plaintiff on his short-term disability benefits claim. Reliance Standard abused its discretion by rejecting subjectively-reported limitations and denying Any Occupation benefits. Williams v. Reliance Standard Life Ins. Co., No. 3:15-CV-00589-HZ, 2016 WL 738225 (D. Or. Feb. 22, 2016) (Judge Hernandez). In this matter Plaintiff challenged Reliance Standard’s denial of long-term disability benefits when the LTD policy required that he be disabled by “Any Occupation” after two years of payment. After detailing all of the medical evidence the court found that Defendant’s determination can be supported only if it was reasonable to reject the limitations acknowledged by Plaintiff’s treating practitioners, both IME neurologists, and the scores of other specialists who have examined him. Here, objective testing has failed to establish a specific diagnosis for Plaintiff’s symptoms, but the record clearly shows that Plaintiff’s report of symptoms has been consistent since their inception. Plaintiff’s doctors find that Plaintiff’s subjective symptoms are disabling. The court found that given the policy language and controlling case law, Defendant’s rejection of Plaintiff’s subjective complaints was not reasonable just because there was no objective medical evidence establishing them. First, the policy itself does not require that “sickness” be established by only objective medical evidence, nor does it require that the inability to perform the material duties of Any Occupation be established by objective medical evidence. Second, where symptoms, like pain, cannot be objectively measured, an insurer cannot arbitrarily reject subjectively-reported limitations. The court found that a heightened abuse of discretion review was warranted due to procedural irregularities, including that the denial letter did not identify any specific information or explanation of the necessity of such information. Specifically, Defendant telling Plaintiff that he could perform light work was not enough to tell Plaintiff that he had to provide proof that he was incapable of light duty work. The court granted Plaintiff’s motion for summary judgment and denied Reliance Standard’s motion. Denial of disability benefits is not de novo wrong where Plaintiff failed to provide evidence supporting cognitive impairment. Ramdeen v. Prudential Ins. Co. of Am., No. 615CV139ORL28TBS, 2016 WL 715791 (M.D. Fla. Feb. 19, 2016) (Judge John Antoon II). The court found that Prudential’s denial of Plaintiff’s long-term disability claim was not de novo wrong because Plaintiff did not meet his burden of establishing disability from his regular occupation as a Broker/Dealer Services Unit Manager as a result of a stroke and resulting cognitive impairment. Plaintiff argued that the court should afford some leniency regarding his failure to file supportive documentation because he was unrepresented during the administrative process. The court rejected this argument as without merit since the LTD Plan contains clear headings and easy-to-understand explanations of the requirements for eligibility. Further, Prudential complied with 29 C.F.R. § 2560.503-1(g)(1)(i)-(iii), and its notifications of denial detailed the reasons for denial, contained references to the Plan provisions, and thoroughly explained Plaintiff’s appeal rights. When Plaintiff failed to submit additional evidence with his second appeal, Prudential notified him in writing that he could still submit additional information, but Plaintiff did not do so. The court found no evidence that Plaintiff’s alleged cognitive condition prevented him from properly presenting his claim and appeal. 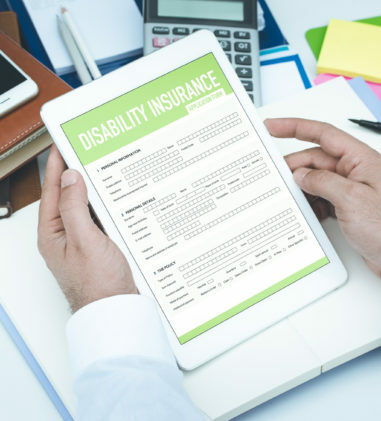 On Plaintiff’s short-term disability claim, the parties agreed that the STD benefits at issue fall under the “payroll practice” exception to ERISA and governed by ordinary contract principles. The court found that Defendant did not breach the STD policy when it terminated Plaintiff’s STD benefits. Specifically, Defendant did not breach the STD policy by awaiting Prudential’s final decision as to the LTD benefits claim before denying Plaintiff’s second appeal for STD benefits or by failing to order an independent neuropsychological evaluation. Because Plaintiff was awarded SSDI benefits after Defendant conducted its reviews and ultimate determination, the court found the SSDI award irrelevant. Court grants in part and denies in part motion to compel responses to discovery requests related to MetLife’s conflict of interest. Curtis v. Metro. Life Ins. Co., No. 3:15-CV-2328-B, 2016 WL 687164 (N.D. Tex. Feb. 19, 2016) (Judge David L. Horan). In this case challenging the denial of long-term disability benefits, Plaintiff moved to compel MetLife to respond to a number of interrogatories and requests for production of documents aimed at determining the procedural irregularities and MetLife’s conflicts of interest in processing Plaintiff’s claim. The court analyzed the amendments to FRCP 26(b) and 26(c), effective December 1, 2015, which requires that discovery be proportional to the needs of the case and authorizes protective orders to protect a party or person from annoyance, embarrassment, oppression, or undue burden or expense. The court found that the amendments to Rule 26 do not alter the burdens imposed on the party resisting discovery. Further, just as was the case before the December 1, 2015 amendments, under Rules 26(b)(1) and 26(b)(2)(C)(iii), a court can – and must – limit proposed discovery that it determines is not proportional to the needs of the case. The court found that the amendments to Rule 26(b) and Rule 26(c)(1) also do not alter the basic allocation of the burden on the party resisting discovery to – in order to prevail on a motion for protective order or successfully resist a motion to compel – specifically object and show that the requested discovery does not fall within Rule 26(b)(1)’s scope of relevance (as now amended) or that a discovery request would impose an undue burden or expense or is otherwise objectionable or properly subject to a protective order. Relying on the Fifth Circuit decision in Crosby and the relevant rules, the court granted Plaintiff’s motion in part. The court determined that MetLife is required to supplement its answer to more fully describe the policy and methods used to determine compensation for the claims and appeals specialists who handled Plaintiff’s claim, such as any policy or method for determining and calculating bonuses, pay increases, or gain sharing. However, the court did not permit discovery regarding compensation of supervisors up to the head of the claims department (whom MetLife has represented is not involved in individual claims decisions), because this is not proportional to the needs of the case. The court also required MetLife to respond to an interrogatory explaining how the policy and methods used to determine compensation for the claims and appeals specialists who handled Plaintiff’s claim take account of the items listed in (a)-(h) of Interrogatory No. 7. Regarding discovery of MetLife’s outside medical consultants and claims handlers, the court required MetLife to generally describe what, if any, methods MetLife uses to monitor or impose quality assurance measures on the outside medical consultants or independent physician consultants involved with Plaintiff’s claims. But, the court determined that Plaintiff is not entitled to responses to discovery requests regarding performance evaluations. The court did not require MetLife to respond to discovery related to claims consistency or its organizational chart. For a number of MetLife’s unsupported objections, the court found those objections to be waived and overruled. The court ordered each party to bear its own costs in relation to the motion and that MetLife must file a supplemental appendix attaching an amended privilege log by February 24, 2016 and to respond to the discovery requests by March 11, 2016. Texas Prompt Pay Act does not apply to self-funded ERISA plans. Aetna Life Ins. Co. v. Methodist Hosps. of Dallas, No. 15-10210, __Fed.Appx.___, 2016 WL 683112 (5th Cir. Feb. 18, 2016) (Before SMITH, WIENER, and GRAVES, Circuit Judges). Plaintiff-Appellant Aetna Life Insurance Company appealed the district court’s judgment, which held that (1) Texas Insurance Code, Chapter 1301 applies to Aetna Life as the administrator of self-funded employer plans, and (2) the ERISA does not preempt such application. Chapter 1301 applies to “each preferred provider benefit plan in which an insurer provides, through the insurer’s health insurance policy,” payment to preferred providers at discounted rates. Chapter 1301 also applies to entities with which insurers contract to perform particular administrative functions. It imposes a range of penalties for late payments. After Aetna Life filed its federal declaratory judgment action, the Providers filed two lawsuits against Aetna Health in Texas state court-one in Tarrant County and the other in Dallas County-seeking penalties for late payments. The Tarrant County court denied Aetna Health’s motion for summary judgment, holding, without explanation, that the Texas Prompt Pay Act (TPPA) “applies to Aetna with respect to claims administered by Aetna for self-funded plans. The federal district court exercised jurisdiction over the action and granted the Providers’ motion for summary judgment. In so doing, it deferred to the Texas state trial court’s “non-final interpretation of state law” on the issue of the TPPA’s applicability to administrators of self-funded plans and held that ERISA does not preempt such application. The Fifth Circuit determined that the district court erred when it deferred to the Texas court’s non-final interpretation of law on the question of the TPPA’s applicability. Because the district court did in fact exercise jurisdiction over the action, it should have made an Erie guess as to how the Texas Supreme Court would decide whether Chapter 1301 applies to Aetna Life’s activities in this case. The court also held that self-funded ERISA plans are not “insurers” under Chapter 1301 such that the Chapter cannot apply to Aetna Life’s administration of the self-funded ERISA plans. The court reversed, vacated, and remanded for entry of judgment in favor of Aetna Life. Humana did not abuse its discretion in denying partial hospitalization treatment. M. v. Humana Health Plan of Texas, Inc., CV H-14-3206, 2016 WL 690582 (S.D. Tex., Feb. 19, 2016) (Judge Lee H. Rosenthal). In this dispute over the “medically necessary” hospitalization treatment of a young 19-year-old with an eating disorder and depression, the court applied the abuse of discretion standard of review. Humana authorized Plaintiff for partial hospitalization treatment from April 15, 2013 to June 4, 2013, and then denied benefits thereafter. The policy itself uses a set of clinical standards-the “Mihalik criteria”-to assess medical necessity. All 8 of the criteria must be met throughout an episode of care for benefits to continue. Humana cited two medical reviews for their denial, one from their contracted medical reviewer and one from a third-party vendor. Both corroborated a lack of “imminent danger to herself or others”, Mihalik criteria #7, and “medical instability”, Mihalik criteria #8. Plaintiff appealed and argued that Humana, as an administrator, has a conflict of interest; did not take steps to reduce potential bias; and failed to use a nationally recognized standard of medical practice. Plaintiff further argued that the reviewing physicians were unqualified to review her entitlement to benefits and made procedural errors, such as allowing, on appeal, deference to the initial adverse benefit determination. The court rejected all of Plaintiff’s claims, because Humana has taken steps to reduce conflict of interest and potential bias through a third-party reviewer, and there was no evidence that Humana paid its contracted reviewer more for a denial. 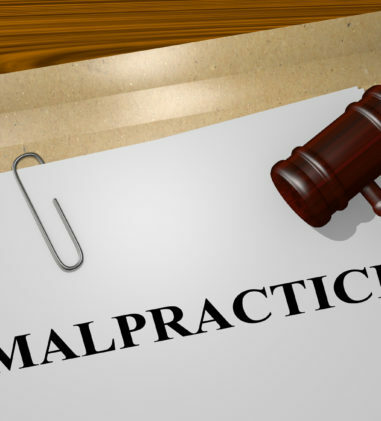 She also provided no evidence as to why the Mihalik criteria are not a reliable basis for establishing medically necessary treatment or are otherwise inaccurate. Additionally, there is no evidence that either reviewer is unqualified, as both are board certified psychiatrists and both noted the same deficiencies in Plaintiff’s claim. As for the procedural errors, there is no evidence that the second reviewer gave any deference to the first. Ultimately, the court found that Humana did not “reduce” or “terminate” benefits “before the end of such period of time,” as per ERISA’s procedural regulation, because it only preauthorized hospitalization from April 15 to June 4, which it irrefutably provided to plaintiff. The court granted Humana’s motion for summary judgment. Health plan cannot charge retirees coinsurance when it serves as secondary payer to Medicare. Barling v. Uebt Retiree Health Plan, No. 14-CV-04530-VC, 2016 WL 687965 (N.D. Cal. Feb. 19, 2016) (Judge Vince Chhabria). Plaintiff’s lawsuit alleges that Defendants violated the terms of the ERISA plan by requiring him, and other similarly situated retirees, to pay deductibles and coinsurance during a time when Medicare served as “primary payer” and the Plan served as “secondary payer.” The court found that Plaintiff is correct that under the plain language of the SPD, the retirees cannot be forced to pay coinsurance when the Plan serves as the secondary payer. Because the language is susceptible to only one meaning (that coinsurance and deductibles are part of “Covered Expenses” and therefore the Plan could not make retirees pay them when the Plan serves as the secondary payer), there’s no need to consider extrinsic evidence. Regardless, the court found that the extra-contractual materials submitted by the parties do not cause the SPD’s clear language to somehow become ambiguous. Plaintiff would prevail under either de novo or abuse of discretion review. The court granted summary judgment for Plaintiff on his claim for benefits and denied Defendants’ cross-motion for summary judgment. The court ordered the Plan to refund the deductibles that Plaintiff paid during the relevant time period. Severance plan meets the requirements of an ERISA-governed employee welfare benefit plan. Ditchey v. Mechanics Bank, No. 15-CV-04103-JSC, 2016 WL 730290 (N.D. Cal. Feb. 24, 2016) (Magistrate Judge Jacqueline Scott Corley). 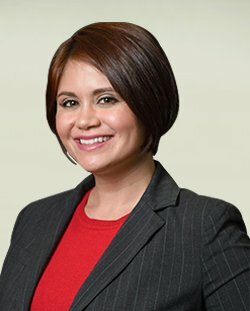 Plaintiff brought suit under ERISA § 502(a)(1)(B) for reimbursement of her reasonable legal fees and expenses incurred as a result of the Bank’s dispute of her right to benefits under the Mechanics Bank Change in Control Plan. The first issue the court determined is whether the Plan is an ERISA plan. ERISA applies to employee welfare benefits plans which may include a severance plan. The determinative question is whether the benefit package implicates an ongoing administrative scheme. The court found the facts of this case similar to the Ninth Circuit’s decision in Bogue v. Ampex Corp., 976 F.2d 1319 (9th Cir. 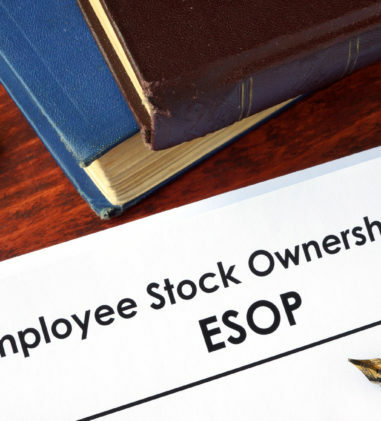 1992), which held that ERISA governed a severance plan which provided benefits to certain executives if the company/employer was sold and neither the employer nor the buyer offered the executive substantially equivalent employment and the executive’s employment was terminated. Here, the Plan requires the Bank to determine whether an executive has been involuntarily terminated because she has experienced a material diminution in the scope of her responsibilities, duties or authority or any material change in her title, position or reporting relationship, or a material reduction in the executive’s base compensation, or a material breach by the Bank of the executive’s employment agreement, among other triggering conditions. The court found that the Bank’s obligation requires more than an unthinking, one-time, nondiscretionary application. Thus, the Plan is governed by ERISA. Removal was untimely where pre-suit notice put Defendant on notice of basis for removal. Decatur Hosp. Auth. v. Aetna Health Inc., No. 4:15-CV-922-A, 2016 WL 722155 (N.D. Tex. Feb. 19, 2016) (Judge John McBryde). Plaintiff initiated this action on June 24, 2015, by filing an original petition in a Texas state court. On December 4, 2015, Defendant removed this action alleging that this court has subject matter jurisdiction by reason of federal question under 28 U.S.C. § 1331, including on the basis of ERISA preemption and by virtue of the Federal Employee Health Benefits Act and the Federal Officer Removal Statute. The court declined to reach the arguments on subject matter jurisdiction since it concluded that Defendant did not timely remove the action under 28 U.S.C. Section 1446(b). This Section requires that notice of removal shall be filed within 30 days after the receipt by the defendant of a copy of the initial pleading setting forth the claims for relief upon which the action is based, or where removal is not proper based on the initial pleading but the action later becomes removable, a notice of removal may be filed within 30 days after receipt by the defendant of a copy of an amended pleading, motion, order or other paper from which it may first be ascertained that the case is one which is or has become removable. Here, Defendant, which was served with Plaintiff’s state court pleading on June 30, 2015, argues that it is within the thirty-day time period for removal because Plaintiff first put it on notice of the facts that it contends caused this action to be removable through answers to interrogatories, which confirmed for the first time that the claims forming the basis of this action included claims based on ERISA and FEHBA. The court disagreed, finding that a May 27, 2015 pre-suit notice to Defendant regarding the claims at issue in this action provided a detailed list of claims at issue and put Defendant on notice that the claims may deal with a payment arrangement that included ERISA and FEHBA. Because Defendant failed to establish that this action was timely removed, the court granted Plaintiff’s motion to remand. Court grants leave to amend complaint to add Aon Hewitt as defendant in lawsuit alleging violations of ERISA and COBRA. Borovac v. Nat’l R.R. Passenger Corp., No. 8:15CV196, 2016 WL 697101 (D. Neb. Feb. 19, 2016) (Judge Cheryl R. Zwart). Plaintiff filed a complaint against Aon Hewitt, LLC (“Aon Hewitt”) and Amtrak on November 19, 2014, alleging violations of ERISA and COBRA. The case was dismissed without prejudice and Plaintiff refiled the lawsuit naming Amtrak and Conexis as Defendants. Plaintiff moved to amend his complaint to add Aon Hewitt, LLC as an additional party and add pertinent provisions, factual statements, and causes of action. Amtrak objected to Plaintiff’s motion to amend, stating Aon Hewitt is not a proper party to this action, and any claims against him would be futile and frivolous. The court granted the motion and explained that the language of ERISA provides the means for identifying a plan administrator, and in some situations, the proper defendants may include the party who controls administration of the plan. Here, neither party provided the court with the plan instrument which may designate who the administrator is in this case. But, in Plaintiff’s proposed amended complaint he states “Defendant Aon Hewitt was contracted by Defendant Amtrak as a plan administrator to contract health benefits with Conexis” and “Aon Hewitt is and was at all times material an ‘administrator’ within the meaning of ERISA and COBRA.” In Amtrak’s answer, it twice referred to Aon Hewitt as its administrator. The court could not conclude that the additions within Plaintiff’s complaint would be futile. Further, the court found that Plaintiff has alleged sufficient facts to support a claim under 29 U.S.C. § 1166 against Aon Hewitt. Summary judgment denied on COBRA notice claim. Newton v. Prator, No. CV 14-3116, 2016 WL 698170 (W.D. La. Feb. 18, 2016) (Judge Elizabeth Erny Foote). In Defendant’s motion for summary judgment, he argued that Plaintiff is not entitled to recovery on his COBRA claim for two alternative reasons: 1) Plaintiff fails to demonstrate as a matter of law that Defendant violated COBRA because Defendant sent Plaintiff notice of termination with his last known address and all that COBRA requires of an employer is to send notice to the last known address, not to ensure actual delivery; 2) Plaintiff has not demonstrated that he is entitled to any damages even if there is still a genuine dispute of fact about whether Defendant fulfilled his COBRA notice obligations. On liability, the court determined that there is a genuine dispute about whether Caddo Parish Sheriff’s Office (“CPSO”) operated in good faith in giving Amerifax notice of Plaintiff’s termination. Plaintiff alleged that he gave CPSO an updated address in 2010 and therefore CPSO knew that they were sending Amerifax an old address when they notified it of his termination. The court found that there remains a genuine issue of material fact as to good faith. On the issue of damages, the court determined that Plaintiff is not entitled to statutory damages because 29 U.S.C. § 1132(c) only applies to administrators that violate their obligations under § 1666, not to employers or their obligations under § 1666. Instead, damages for an employer’s failure to notify an administrator under § 1666(a)(2) is found in ERISA’s general damages provision, 29 U.S.C. § 1132(a)(3)(B). The court explained that because Plaintiff alleged a violation of COBRA’s notice provision, his damages are limited to the post-termination medical expenses he incurred minus the COBRA premium he would have had to pay to cover those expenses. The court determined that it cannot rule that as a matter of law Plaintiff is not entitled to relief on his claim because there is a dispute of material fact as to whether Plaintiff demonstrated compensatory damages. Court awards $10,000 in penalties for the delay in providing CBA and LLC Agreement and Contract. Barling v. Uebt Retiree Health Plan, No. 14-CV-04530-VC, 2016 WL 687965 (N.D. Cal. Feb. 19, 2016) (Judge Vince Chhabria). Plaintiff sought statutory penalties for the Plan’s failure to timely provide certain documents: (i) the Summary Plan Description; (ii) the Trust agreement; (iii) the Collective Bargaining Agreement; (iv) the Amended and Restated Limited Liability Company Agreement for the UFCW – Employers Benefit Plans of Northern California Group Administration, LLC; and (v) the contract between the Plan and the UFCW- Employers Benefit Plans of Northern California Group Administration, LLC. The Plan admits that it did not provide these documents within the 30-day timeframe set forth in 29 U.S.C. §§ 1024(b)(4); 1132(c). The court considered any bad faith or intentional misconduct by the administrator, the length of delay, the number of requests made and the extent and importance of the documents withheld, and any prejudice to the participant. The court found that Plaintiff was not prejudiced by the delay in receiving the SPD and the Trust Agreement. The delay was relatively short and there’s no evidence of bad faith. The court did find that the delay in providing the Collective Bargaining Agreement was excessive and it took many requests from Plaintiff’s counsel. For this, the court awarded Plaintiff $5,000. Lastly, the court found that the LLC Agreement and Contract are documents within the scope of 29 U.S.C. § 1024(b)(4) and the year-long delay in providing these documents was excessive. For this, the court awarded Plaintiff $5,000. The court ordered Defendants to pay Plaintiff a total of $10,000 in statutory penalties.